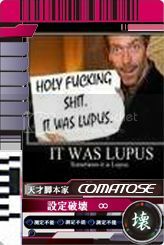 I felt like finding some nice quality Ryuki card scans, so I got some and put them on the wiki. My Card set is still in transit from Yokatta. If those still need doing when I get it, I'll scan them. Oh sweet. Looking at those scans made me wish I picked up that or the Blade set last year. Hmm. 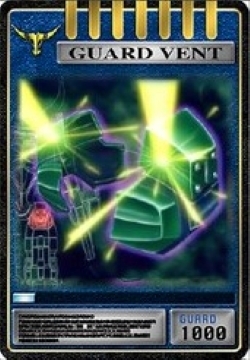 No high quality picture of Zolda's second Guard Vent card? Well, if I'm missing any cards, let me know. It took me a while to gather the ones that I did have there. I didn't really check a list or anything to see if I'm missing any of them. I'm not sure where you could find a high quality pic of Zolda's second Guard Vent. It seems to have been forgotten by Toei, since as I recall it doesn't appear in either the old TV Size Advent Card set or the recent Advent Card Archive. It's not a high quality picture, but if anyone needs proof of its existence, then here it is. And yes, that's not a fan made picture. It summons the "Giga Tector" (ギガテクター) armor, which are based on Magnugiga's knees. They become armored shoulder pads for Zolda. They never showed up in the series, but there are official pictures of the card out there. And there is a toy version of the card which, as I recall, you can get in the "R&M Series" Kamen Rider Zolda figure. That same figure also allows you to remove Magnugiga's knees and attach them to the Zolda figure's shoulders. Yeah, I'm looking at the list now. I'm surprised they don't have it. Maybe the toy manufacturer made up that card just for that one toy? I can try to scan the missing cards from my complete selection decks. Seems kind of odd for a toy manufacturer to just make up a card. If that were the case, then that was the only time they ever did it. I don't think Zolda ever used his Strike Vent card, but the Advent Card Archive set has it. And I'm pretty sure the old TV Size set did as well. The first link is a pretty good list, though it says Imperer has the Return Vent card. Most people believe it's one of Tiger's cards, but that's only because it came with the Dest Visor toy. It's another one of those unused cards. And now that I look at it, even the Advent Card Archive lists it as one of Tiger's cards. I wonder if there are any official pictures of Zolda with his Strike Vent and second Guard Vent on him? Like promotional pictures, or shots in magazines like Terebi-kun? Yeah, it's pretty easy to get those non-labeled cards mixed up, especially if they were unused. I think I also read that the general consensus is that Return goes with Tiger. It's kind of neat though. I had to figure out why there were two Trick vents for Knight. Then I realized that one was a Survive version, since all the survive cards had the red line pattern on top instead of orange. I have a few TV-kun magazines from the early 2000s, not sure if I have any from 2002 specifically though. I'd have to dig that stuff up. I kind of doubt it though. Yep. And the Survive version of the Trick Vent card also has 1,000 more AP than the regular version. I believe there's also a Survive version of the Nasty Vent card. And I agree that there's a low chance that official pictures of the Strike Vent and second Guard Vent props exist, but it would be nice to find out. Last edited by takenoko on Wed Feb 06, 2013 11:36 pm, edited 1 time in total. I have all the cards from the Ryuki CS belt scanned and zipped up but the zip file is about 240mb. If you have a google drive or something I can share it with you. I would just post up the photos on my own site but each scan (in sets) ranged from about 3mb for the single back of a card to 20mb for all of Knight Survives cards in one photo and since Megaupload is gone my link there is kaput. Regardless, I have it ready to go now if you want it. Ok I shared the drive with you but some of them are still uploading and I'll toss one up on MU2 as well for the whole zip file.